Keep it New and Trendy in Your Kitchen - Johnson Heating & Cooling Inc.
Remodeling your Greenwood kitchen is important since the kitchen is known to be the room that creates the most investments in the house. The remodeling process requires proper planning to ensure that you not only save on the cost, but you also achieve the intended kitchen look. There are various factors that need to be considered while renovating your kitchen. A resident should consider the size of the kitchen, the quality of the kitchen appliances and the kitchen style to be implemented. While renovating your kitchen, the floor needs to be upgraded. The floor needs to be designed such that it should easy t maintain and durable. Tiled floors are popularly known since they are not only attractive but also easy to clean. The kitchen appliances chosen for the remodeling process should be affordable and should complement the kitchen walls and the floor. Choose high-quality kitchen appliances to ensure that your kitchen activities are made less tedious and the maintenance cost is lowered. It is not always wise to go for big and bulky appliances. Depending on your Greenwood home kitchen size, the kitchen appliances should not appear too big for the kitchen. Big kitchen appliances such as the refrigerator, the kitchen island or the dishwasher should be placed in a position such that it doesn't interfere with the working station. The kitchen cabinets should be perfect to ensure that kitchen looks new and renovated. The cabinet manufacturers do not necessarily mean that they are of high quality. The kitchen cabinets make the kitchen look stylish and trendy. There are a lot of new cabinet designs in the market today. Replacing the kitchen cabinets can be expensive therefore choosing the appropriate cabinet design is important. These cabinets should be made of high-quality hardwood. A kitchen island is a multi-functional component which comes in different sizes to fit properly in your kitchen. The island size should not interrupt with the kitchen workstation. A convenient kitchen island is normally available with additional storage accessories such as drawers which help in creating extra storage spaces. A proper kitchen island creates more working space and also gives the kitchen a stylish touch. The kitchen counter-top complements the kitchen by adding a modern touch to it. For the kitchen countertops, choose materials that are durable and can withstand the cooking preparations. Thanks to the advanced technology, there are various trendy kitchen countertop designs from which the resident with the help of the kitchen planner can select the most convenient. Your kitchen is a central part of your family life, so make it beautiful. 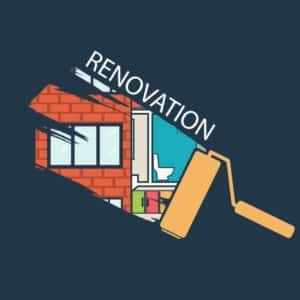 Call Johnson Heating & Cooling at (317) 881-7738 to transform the look of your Greenwood, IN home with unique kitchen remodeling ideas.